It’s been 37 years since Ozzy Osbourne bit the head off a bat. The Black Sabbath legend caused a huge outcry in 1982 when he bit the head off a bat during a live show at Veterans Memorial Auditorium in Des Moines, Iowa. The bat was thrown on stage by a fan and presumed to already be dead. Now, Osbourne has commemorated the momentous events’ anniversary in the only way he could, really… by releasing a cuddly toy version of the poor creature. Oh, and it comes with a detachable head. 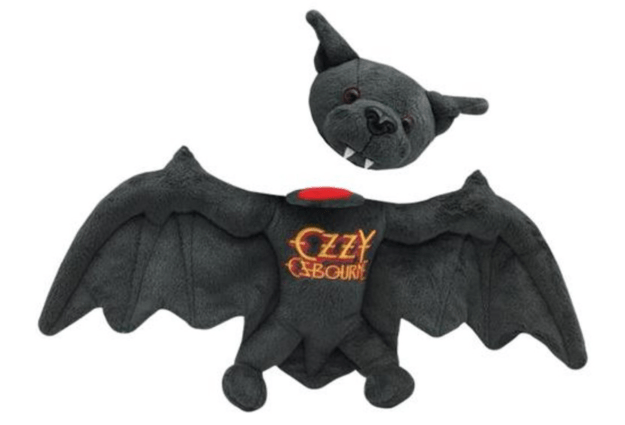 The officially merchandised bat will set you back $40 – although, pre-sale for Ozzy’s winged little victim has already sold out.